Why Are So Many Grown Men Obsessed With AOC? 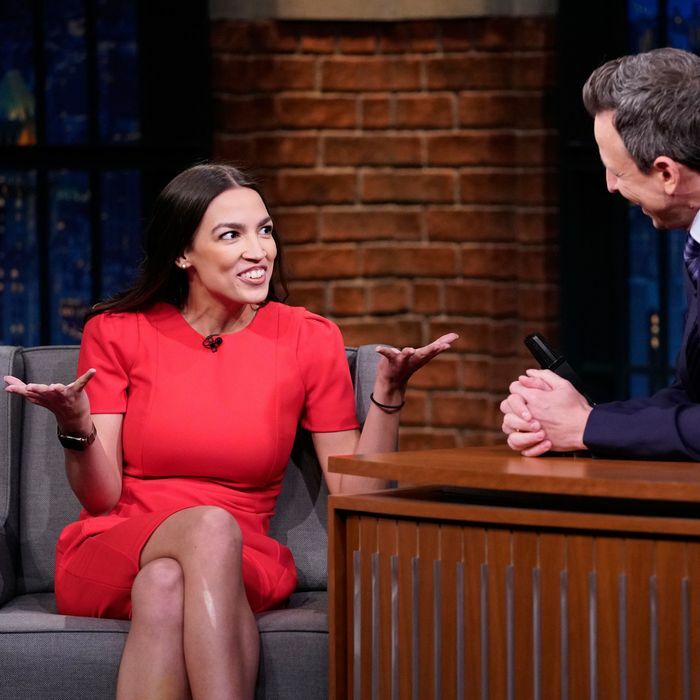 On Thursday, she addressed Fox’s relentless fixation on her during an interview with Seth Meyers on Late Night, after he asked if she was surprised by the speed at which the network has shifted all of its attention to her. “A group of people that seem to have an obsession with you is our friends over at Fox News,” Meyers said. However, thanks to Fox News, she said, her fellow members of Congress hear plenty of rumors about her that she (worryingly) has to debunk. If Fox News’ recent behavior is anything to go by, their obsession won’t be over anytime soon … but at least she has a sense of humor about it!